Superdry women’s Playoff crop hoodie. The Playoff crop is cut to a cropped body length for a flattering, on trend look. 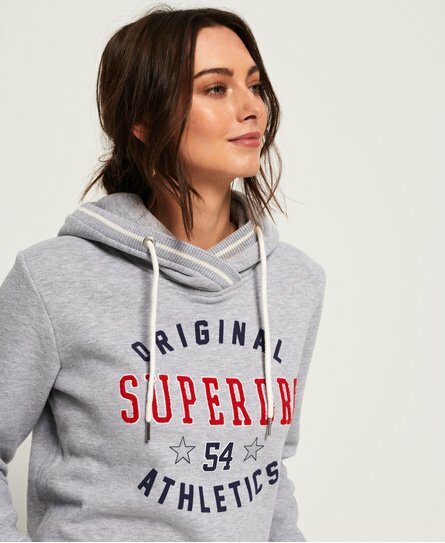 Featuring a textured 54 Japanese inspired Superdry logo across the chest and a ribbed edge draw cord hood with stripe detailing. The Playoff crop has been finished with ribbed cuffs and a Superdry tab on the hem. Pair this cropped hoodie with high-waisted jeans or leggings this season.